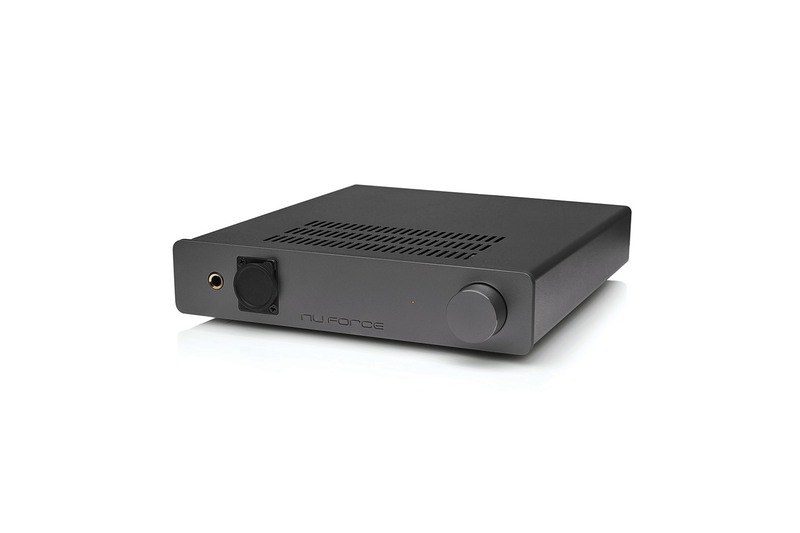 NuForce HA-200 Single-ended Class-A High-End Headphone Amplifier. The Class-A topology is widely recognized as being the purest form of amplification, and this is because other topologies such as Class B and Class-AB require that two output devices be operated in "push–pull" fashion in order for each to handle one half of the musical waveform. At the point where a given device "hands off" to its opposing counterpart, it must "turn off" or stop conducting current until the waveform polarity ultimately returns to that which the device was assigned to handle. Then and only then will that device begin to conduct current again, while in turn, the opposing device must now stop conducting. This "sharing of polarity" behaviour leads to what is commonly termed "crossover" or "notch" distortion. Due to the battery-like type of charge storage within them and their inherent speed limitations, the transition between opposing output devices can never be perfectly aligned in time to produce a seamless flow of electrical current. Typically, a small discontinuity or "notch" at the zero-crossing (crossover) point can always be observed by an oscilloscope connected to the output terminals of the amplifier. This notch represents distortion and is of a static nature, meaning its amplitude remains the same at all signal levels. Therefore, this distortion represents an ever-increasing percentage of the total output as power levels are reduced, and contributes to a "grainy" sound that is particularly audible and quite irritating at low listening levels. Conversely, in Class-A operation the output device is never completely shut off, so there is no "turn on" or "turn off"" time requirement, per se. Hence, there are no issues with charge storage or any ensuing crossover distortion. Class-A designs generally offer better high frequency performance and over-all feedback loop stability. This second point is especially important because all amplifiers produce some distortion, but compared to other topologies Class-A's superior feedback loop stability means that fewer high-order distortion harmonics are generated. The result is a more natural and harmonically accurate reproduction that is significantly less fatiguing. One unique advantage of Class-A design is the ability to employ only a single output device, with the technique commonly referred to as single-ended design. Quite simply, such a configuration guarantees that there is no opportunity for the generation of crossover distortion, and therefore is considered by many to be the purist form of amplification possible. The HA200 operates in full SE Mode when used in its stock stereo configuration. Furthermore, the single output transistor is operated with a rock-solid constant-current bias, which provides for very stable control over the output signal at all times. Musical waveform accuracy is maintained such that typical "overshoot" and "ringing" artefacts are virtually eliminated. The sonic effect is one of a fast and authoritative response manifesting as exceptionally accurate and natural transient reproduction at all frequencies and dynamic levels. Unique to the HA200 is its ability to quadruple output power by simply adding a second unit and operating them together in "Balanced Mode." For this configuration, all that's needed is to use the XLR inputs and outputs on each HA-200 along with a special cable adaptor for connecting the headphones. In Balanced Mode, four completely separate amps (2 per unit) are utilized to drive the four phases of the music signal (right normal, right inverted, left normal, left inverted). Please keep in mind though that this is NOT the same technique as mentioned above in the "push-pull" Class-B scenario. In Balanced Mode, all transistors are biased in Class-A so as to conduct current at all times – only the phase is inverted 180 degrees in the case of the left & right inverting amplifiers. The primary benefit of such a design is that the available output voltage is doubled, so the actual output power is quadrupled. It also doubles the effective slew rate (the maximum change in voltage per second that an amplifier can achieve), as both amplifiers are operating in opposite phase to increase the dynamic realism of the music. While "technically" not a pure SE design, since Balanced Mode remains in full Class-A operation at all times it can be thought of as a "dual SE" architecture that retains the best of SE performance with the added benefits of higher power and better dynamic control. Sonically, the resulting sound is completely "grain-free," the soundstage is wide and deep while instruments and voices are reproduced with extreme clarity and purity of tone. The incredible power and dynamic control over the music simply must be experienced to be appreciated. The one slight disadvantage that Class-A amplifiers have is that transistor bias current must be set such that the output transistor continually operates in the centre of its "linear region," which simply speaking is the midpoint between its fully-on and fully-off limits. Therefore, regardless of the actual audio power being used Class-A amplifiers continuously consume their full-rated output power and dissipate that power in the form of waste heat.